Qatar hosts the biggest U.S. military base in the Middle East with 11,000 troops deployed to or assigned to al Udeid Air Base. 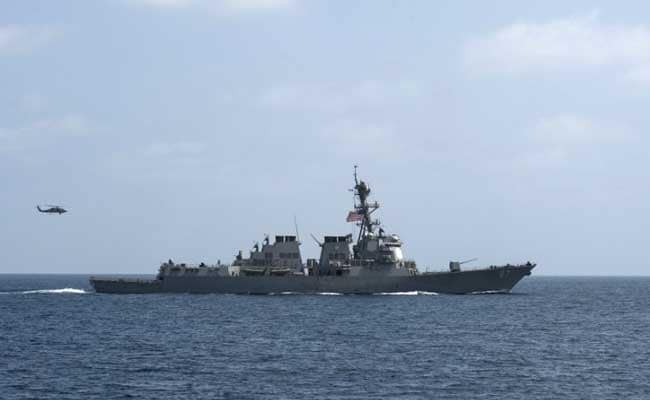 Dubai: Two US Navy vessels arrived in Doha to take part in a joint military exercise with the Qatari Emiri Navy on Wednesday, Qatar news agency QNA reported. Qatar, a major ally of the US and other Western countries, has been in the spotlight since four major Arab powers, including Saudi Arabia and Egypt, severed their ties with the country and accused it of supporting terrorism and working secretly with Iran, the arch-foe of the Saudis. The Pentagon last week renewed praise of Qatar for hosting a vital US air base and for its "enduring commitment to regional security," after four Arab countries cut ties with the Gulf ally. The Pentagon reassurance differed from the US President Donald Trump comments that applauded the decision, via Twitter. The crews of the two vessels were received by Qatari navy officers, QNA said, citing a statement from the country's defence ministry. Turkey sent its foreign minister to Qatar as part of a drive to resolve the crisis. Kuwait, a neighbour and a member of the Gulf Cooperation Council (GCC), also has been mediating.